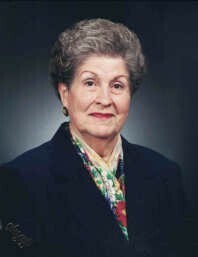 Annie Darby Haynie, 94, widow of Vernon D. Haynie, formerly of Clinkscales St., died Wednesday, April 10, 2019 at Rainey Hospice House. Born in Anderson, she was the daughter of the late Sloan and Kate Wilson Darby. She was a faithful member of Second Baptist Church of Belton where she attended The Heller Sunday School Class, she was a member of the Good News Club, and a Women’s Aux for Navy Veterans. Surviving are: sons, Roger Haynie and wife Judy, and Keith Haynie and wife Sheila all of Anderson; brother, Thurston Darby, sisters, Claris Kay, Wilma Lusk, and Alice Darby; grandchildren, Travis Haynie (Jessica), Angie King (Jeremy), and Krystal Beeks (John); great grandchildren, Parker Beeks, Katie Beeks, Sarah Beeks, and Addi King. She was proceeded in death by her sisters, Ruth McCuen, Clelia Cannon, and Thelma Davis. Service will be held at 3pm Sunday at Cox Funeral Home Chapel with Dr. Mitch Brooks officiating. Burial will follow at Belton Cemetery. The family will receive friends prior to the service Sunday from 2pm until 2:45pm at the funeral home. In lieu of flowers, memorials may be made to Good News Club c/o Second Baptist Church.